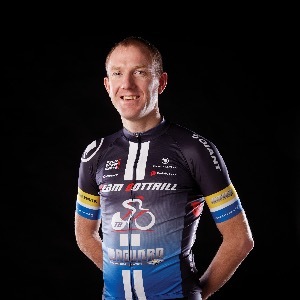 At Matt Bottrill Performance Coaching, We offer cyclists, triathletes, road racers and sportive riders of all abilities the chance to achieve their goals. All our athlete's are coached using my tried and tested methods and training plans which are bespoke to each athlete depending on their goals and lifestyle. Training plans are also fully flexible; we understand the demands of life and know that planned training may have to change at short notice. I have won over 80 National Championship medals and 500 races including competition records and have many more accolades to my name. I have focused the last year on developing MBPC and beginning to coach some of the world’s top athletes on a range of platforms. I am well known for time trialling and a few will remember I used to road race. I've done everything from riding the world champs to riding stage races such as the Tour de Landkawi and I once took the yellow jersey off Mark Cavendish in the Girvan three day! I am husband to Kate, father to three – Isla and twins Ava and Luke, so understand the demands of fitting training around the commitments of work and family. In 2016 I transitioned from the world of Time Trialling into Triathlon and progressed to multiple Age group and Overall wins. This learning process, along with taking on board specialist Triathlon coaches has enabled MBPC to transform the cycling within many athletes in Triathlon. I’m now coaching some of the best Triathletes in the world, including the likes of Tim Don, Lucy Charles, Will Clarke, Matt Hanson Rachel Joyce and Susie Cheetham. Matt Bottrill Performance Coaching is taking the Tri market by storm. We accept all riders of any ability. Ideally we do prefer riders to have a power meter but we can also coach with heart rate. Success. Coach Matthew Bottrill has been notified of your message.